Specifically designed for cleaning services. We know how to make yours a success! technical support and video tutorials. as well as a free mobile app! Contact us today to try out our software! Anyone who manages a cleaning service knows that it’s the attention to details that matter to your customers. Those details mean the difference between a clean house vs. a sparkling, inviting home. As your business grows, so do the details of successfully managing your service. 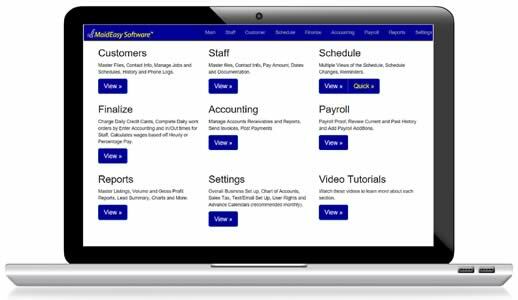 MaidEasy Software can help you gather and process all the information your growing business needs, so you can operate smoothly and successfully. cleaning service franchise for many years. During that time, John helped the corporate office write that company’s management software for franchisees. The Schwerys now operate their own independent residential cleaning service. 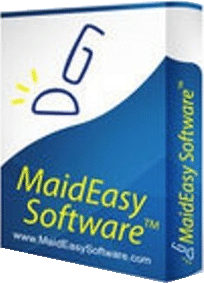 The couple’s experience with the cleaning industry and software writing have combined to create MaidEasy Software. This highly effective management tool helps you oversee workflow, process payments, and manage payroll quickly, efficiently and intelligently. It frees up your time for running your business, finding new clients and recruiting new employees. 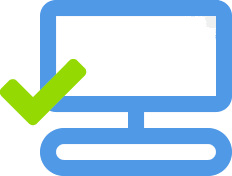 Install MaidEasy Software on one or more desktop computers in your office, keeping your data stored on your IT system. 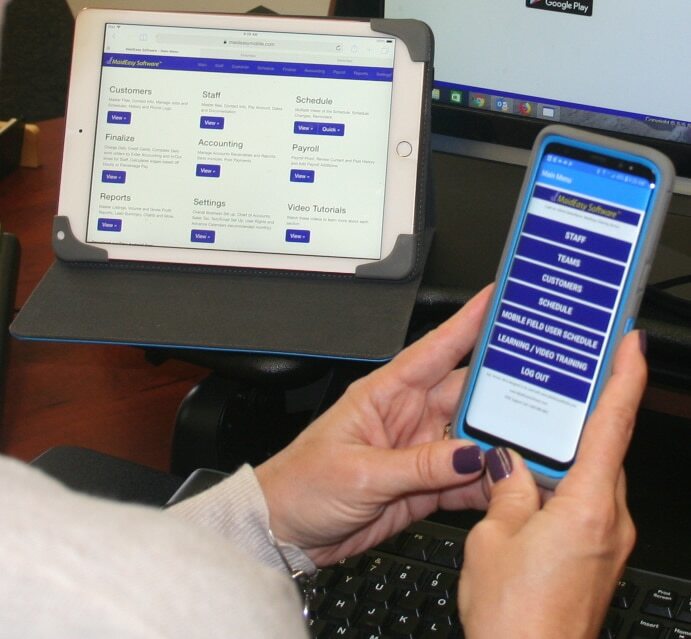 Manage your business through any internet-connected device, anywhere you or your staff happen to be working. 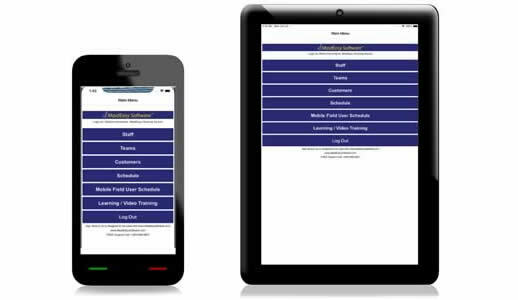 Access your MaidEasy Software with your phone or tablet while you’re on the go! Free for Online Software users. Accommodates multiple users and increasing staff with monthly pricing. Keep contact information, work anniversary dates and other data current. Free online training sessions. Refresh your skills through our online video library. Send customer reminders by text, email or phone call, based on their preferences. Assign team members and set up or change work times in a variety of views. Secure online processing makes it easier and faster for customers to pay you. 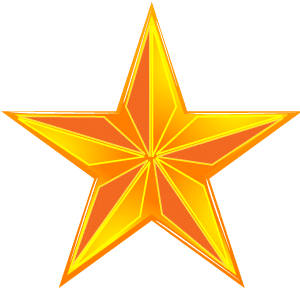 Calculate by % of job or hourly pay rate. Track mileage and time between jobs. Free technical support by phone to answer your questions about our software quickly. Contact us today to request your free 10-day trial!